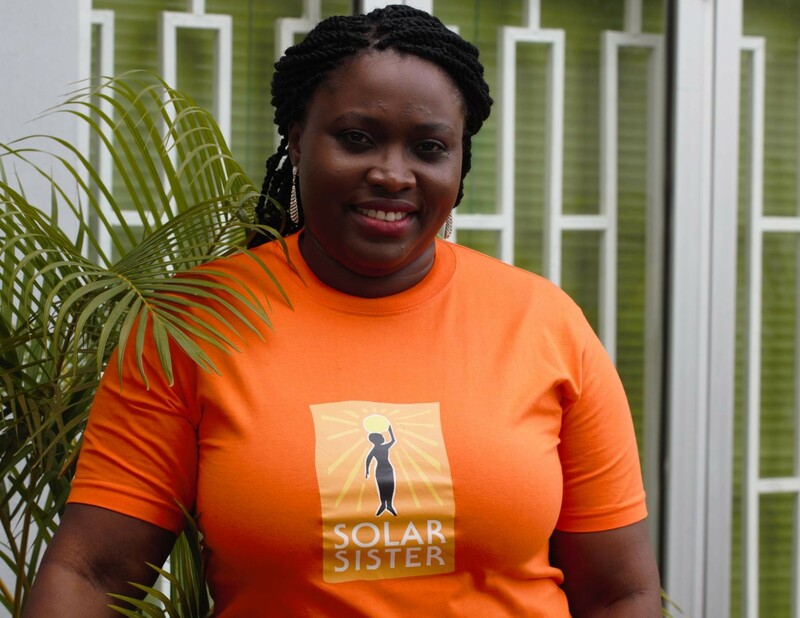 Olasimbo Sojinrin is the Nigeria Country Manager of Solar Sister, a social enterprise that recruits, trains, supports new women entrepreneurs around Nigeria and supplies them with durable, affordable solar-powered products and clean services. The entrepreneurs sell these products directly to people without power, bringing clean energy to off-grid communities across Africa. As the Nigeria Country Manager, what’s your typical day like? My role has evolved since I joined the team in 2014 as the organization has grown. When I started, I managed the recruitment, training, and supporting of the women entrepreneurs we work with across communities in Nigeria, in addition to overseeing administration and finances. 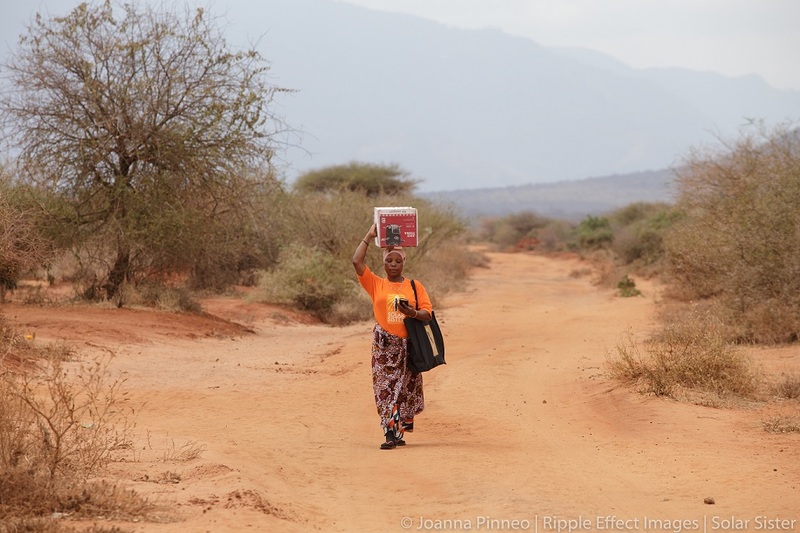 The women entrepreneurs we work with deliver a range of clean energy products, including solar lamps and clean cookstoves, and I managed warehousing, quality control, and transportation of these products until they reached the entrepreneurs. I also managed relationships with stakeholders such as governments and suppliers, working to develop local and national partnerships. Now that we’ve scaled, we have a middle management consisting of business development managers who work with the entrepreneurs. This means that I now oversee these business development managers, as well as the administration, finances, training, and customer service. My day to day work is dealing with any issues that arise and overseeing the entire operation. How many women entrepreneurs have you worked with in Nigeria? We have 37 people on staff right now. We’ve been able to enter communities across 25 states in Nigeria, and we’ve worked with over 1200 women. Is there a particular clean energy product you think makes the most difference in communities, or that’s your personal favourite? What impact does selling these products have on the entrepreneurs you work with? We see women transform from living below the poverty line in rural communities to becoming providers for their family and community. Some of them are now employers and live far above the poverty line so they are able to do things they would otherwise never have been able to do, with improved confidence and communication skills. Just seeing that empowerment, seeing what they can now do and the choices they’re able to make just because of the additional income they get. Also, just their joy of the community impact they are making by transitioning themselves and their neighbours to clean energy – to me this is the greatest thing. What’s one of the most challenging aspects of your work? Like with many social enterprises, it’s the balancing of social impact and the enterprising part of things – using a commercial strategy to achieve a social goal. In particular, it’s communicating what we are to people; many people are confused and ask if we are an NGO or a business when I explain that we are expanding energy access as well as access to entrepreneurship for women. The whole concept of social enterprise in this part of the world is very new, so it’s challenging to explain what it is to people. Explaining that we’re not a nonprofit because we earn revenue, but we’re also not just like any other retail organization because we’re very invested in the growth of the entrepreneurs – we support them through consistent training, coaching, and mentoring. I also find the sheer logistics of our operations challenging because a lot of times we’re working in remote communities, so transporting products to these communities can be be difficult. Here in Canada, we’re making progress in the social enterprise sector - we’ve developed social enterprise legal structures and the federal government recently announced a large fund for social innovation and finance. What do you think is the future of social enterprise in Nigeria? Wow – I’m hoping that’s contagious and we can copy these best practices! We recently participated in the Google Impact Challenge, a challenge for nonprofits and social enterprises. It was one of the first times that a lot of light was shone on social enterprise in Nigeria – we were one of the finalists and won $125,000 USD. So I think there’s hope – more organizations and more governments are starting to recognize the place of social enterprise. We’re making little baby steps, but it’s steps in the right direction. Congratulations on your win at the Google Impact Challenge! 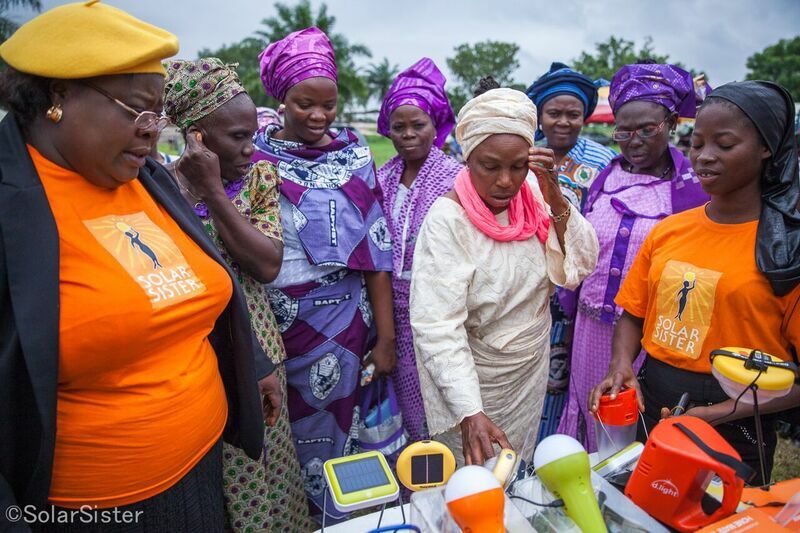 Now that you’re gaining more recognition, what’s your vision for Solar Sister Nigeria in the coming years? Right now we’re a 25 of 36 states, and my dream is to have entrepreneurs in every state by 2020, providing energy access to those who need it most. I’m hoping to grow our network to over 1500 entrepreneurs by 2020 as well. I’m hoping that entrepreneurs who have been with us, that there is growth in their businesses, and that they can go from being a micro-entrepreneur to being like an SME. I also hope they will be involved in the larger energy space by helping build mini grids and electrification – creating this growth within the renewable energy sector is my vision for the entrepreneurs. It’s about having women positioned as leaders in the renewable energy sector – these are my dreams for the team, and for Nigeria. What do you find most inspiring about your work? For the past two years now, we’ve started doing the Solar Sister Entrepreneurs (SSE) Summits, where we get to meet our entrepreneurs from different parts of the country to attend additional training and providing an opportunity for sharing best practices. Just seeing the confidence, hearing their successes, and sharing their stories for me is the most inspiring thing is what I look forward to most of the year. It’s that sisterhood, that sharing, that joy, that celebration of what we’ve been able to accomplish. 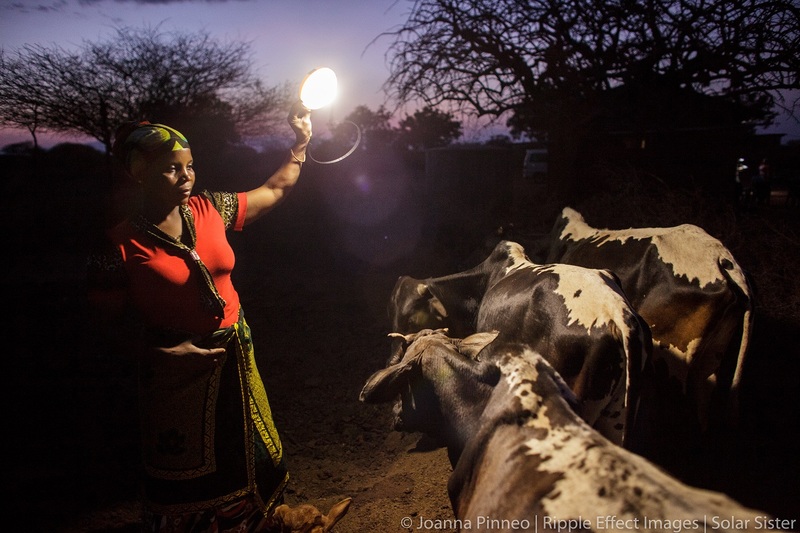 Women come from communities that have no energy, that are miles away from the grid, but they are still able to do a lot of things that ordinarily they wouldn’t have been able to do. 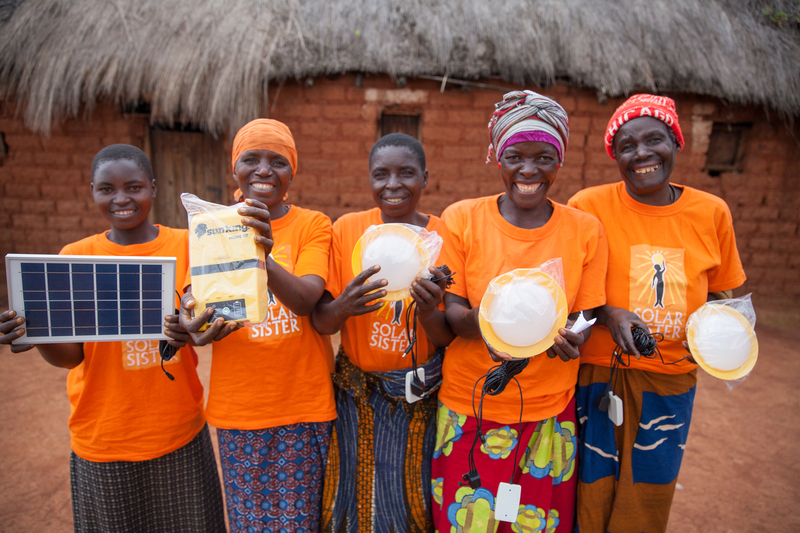 These women are able to affect not just their families, but their neighbors and their communities, and they are known for something good – they wear their Solar Sister t-shirts with pride and know they’re part of something big. Just experiencing that is the most inspiring – seeing the growth in the women and seeing how much of a difference that we’re making. It’s like trying to just put a spark in the dark. What message would you share with the world? I would share a story of one of our entrepreneurs with the world, Mercy Paul. We had the opportunity to visit her home and family – her house is about a 45 minute walk from the major road. We had the opportunity to visit her home and family – her house is about a 45 minute walk from the major road, completely off grid and she has this little farm beside her, but this is a woman who this year alone has been able to turn over her business to almost 2 million naira. This has changed her life – she is now an employer and is seen as a respected member of society. Her husband respects her a lot more. Her husband is a theology student and has to travel a lot, so she is basically is holding down the home front. To see see how growth she has experienced was just very, very inspiring – over just one year she has evolved so much and emerged as a kind of queen. To learn more about Solar Sister, check out their website or find them on Facebook, Twitter, and Instagram! BE PART OF THE SHIFT.